My first attempt at cutting. I used to lift religiously. 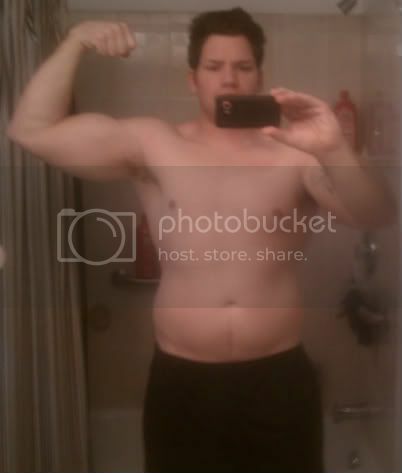 I had a perfect diet and routine, successfully losing over 100lbs(will post pics if I find them). Took a few years off to drink much beer and eat much pizza. 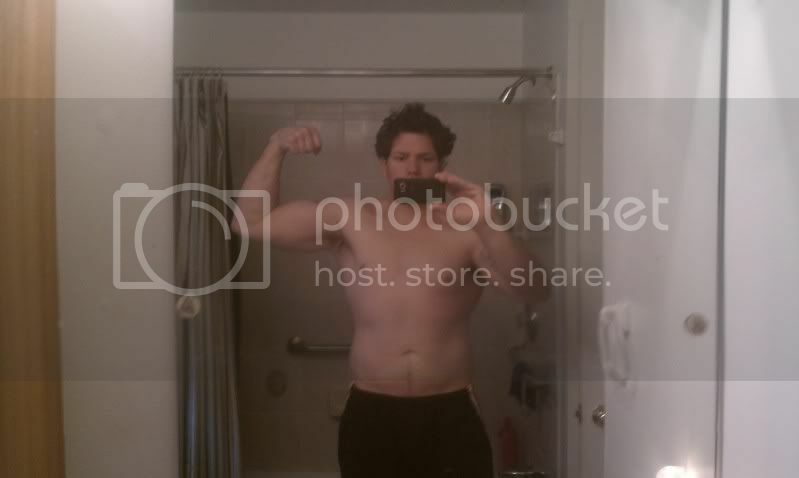 I got back into working out about a year and a half ago. My exercise routines are always good, but the diet could use improvement. Anyway, I spent mid-Oct through January on a clean bulk w/creatine. 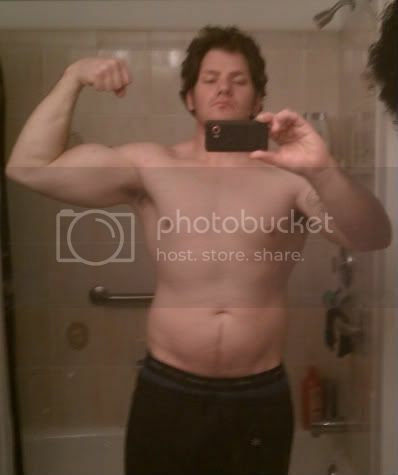 Stopped the creatine mid December. Starting January 15th, I decided to start cutting. My diet has not been perfect, but it has not been horrible. I have been much more active and had some great exercise regimens. Anyway, I wanted to post up some pics of the progress I have made since the start of the cut. I still have some weight to lose by summer, but I am happy with the progress so far. I haven't lost much strength at all, I have actually made some small gains. My BF scale tell me 29%, but I think it is a little high of a reading. But you get what you pay for. I will post pics shortly. Oh and sorry for the abundance of posts. I am 29, 5'9''. I can definitely see good progress from the first to the last picture, you're definitely on the right track. Cutting really has a steep "learning curve" as far as calculating your calorie intake and cardio requirements as its different for each person. Once you get it down though it makes planning for future cutting sessions much easier and I find it lets you bulk longer during the winter months as you have a better idea of when you need to start cutting for summer. Don't pay attention to the BF % scale, those things are hugely inaccurate and can vary a ton depending on your hydration level. If you're going to use those numbers make sure you log them when you wake up in the morning as they will be more consistent. Caliper measurements on multiple points are really the best way to go, but I wouldn't focus on tracking the BF% too much. As long as you continue to see changes in the mirror and on the scale you know you're losing the fat. Clothing fitting looser is always a good sign of fat loss as well. Keep us updated with your progress, so far so good. You looks great in these pictures, could you upload your old pictures also! How much time does it took to reduce 100lbs? What was your diet and exercise routine?